That line from the 1967 Beatles album Sgt. Pepper’s Lonely Hearts Club Band holds true today for consumers’ car-buying journey. Through the Internet, mobile technology, and social media, consumers have a wealth of knowledge at their fingertips. Whether they are data-driven facts or a trusted friend’s opinion, reviews can sway consumers’ vehicle decision-making process, as well as the dealership at which they choose to make their purchase. McKinsey.com reports that two-thirds of the touch points during consumers’ evaluation phase involve activities like Internet reviews and word-of-mouth recommendations by friends and family. Armed with knowledge, consumers have become more efficient in their car-shopping process, and as a result, are visiting fewer car dealerships. Consumers are now the ones driving the sales process: where it happens, how it happens, and even the order and timing of the steps. To illustrate the range of consumers who may walk into your dealership every day, consider a few examples. Bob is in his mid-fifties and utilizes more traditional research methods, like Consumer Reports. He figures out what sedans have the best reliability and compiles a range of prices. Bob does everything face to face, and he’s willing to do a little more to save a little more. Mary is a thirtysomething. When not at work, she spends much of her time as a taxi driver for her kids. She values her time, does most of her research online at Yahoo! Autos, and asks advice from her friends on Facebook. Mary chooses a dealership where she can set an appointment and start the financing process online to make the in-dealership process faster. Andy is almost thirty and lives in the city. He looks at all of the typical auto research sites one would expect. He has checked out Yelp for reviews of local dealerships, and how they respond to both the positive and negative comments. Depending on his location, Andy shifts between his phone, tablet, and laptop. While he makes those shifts, he expects the experience to be similar and seamless. He too starts the financing process online, of course, but also checks out aftermarket products and the services available at the dealership, such as free car washes and shuttle services. Yes, Bob, Mary, and Andy are make-believe people. They are personas to help tell a story and make a point—but you know them. They are the reality of today’s car shopper, and the future of what dealerships need to be able to accommodate. Let’s face it—Bob’s traditional approach of getting trusted reviews from established publications and wanting an in-store sale will still need to be accommodated for some time. Increasingly, however, there has been a shift toward people like Mary, who chooses her dealership based upon a friend’s Facebook review and begins her financing online. Yet you can’t ignore the future that has already arrived with Andy. His omni-channel approach demands complete flexibility to seamlessly move across—and in and out of—channels at will. The Andys of the world surf multiple channels at the same time, mapping out their own customer journeys. As they move along the journey, they expect the data they provide to be saved and instantly available wherever they go. Although millennials turn to mobile for critical car-shopping activities such as reading vehicle reviews, don’t let that lead you to believe that Andy doesn’t appreciate brick and mortar. Mobile Marketer debunks the myth that millennials make all their car-buying decisions on phones, reporting that 64% prefer face-to-face over remote interaction with dealers, and 96% percent feel it is important to test drive a car before buying it. Each persona drives his or her own journey, using personal methods of gaining confidence through trusted reviews that drive them to choose a dealership and a preferred way of financing and buying a car. Your strategy needs to be flexible enough to embrace the evolving expectations of customers, while not abandoning the tried-and-true methods that have worked over the years. 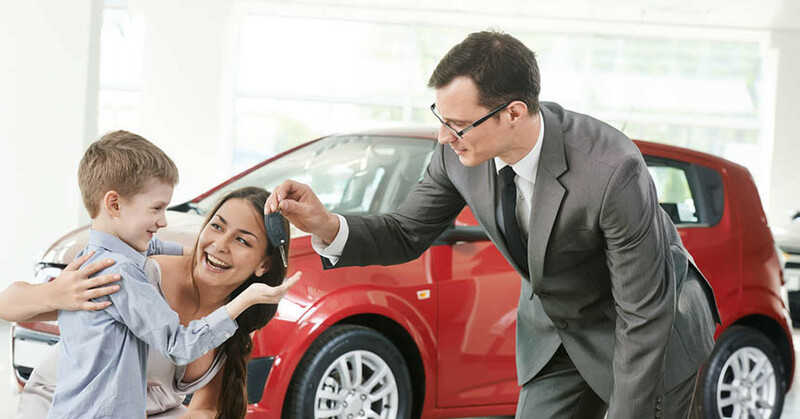 For long-term financial success, the auto industry needs to provide real human value at the dealership level, with properly trained and motivated managers and salespeople working closely with today’s car buyers. 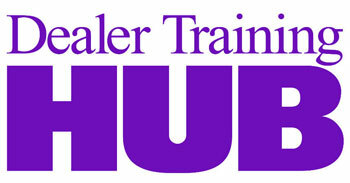 Is your dealership providing these consumers “a little help from a friend”?